Whether you are a gymnast, or just want to practice your balance at home, you might be interested in a low balance beam for your home gym. You do not need a high beam to practice acrobatics, dance moves, or your balance, which is good because a lot of homes do not have high enough ceilings for that type of beam. Therefore, a low balance beam is a good addition to any home gym. Details that you should take into consideration before buying include size, padding, and where you will put the beam. If you are a competitive gymnast, or just want to improve your balance, it is often best to choose a low balance beam that is about four inches across (10.16 cm). This is because beams used in both competition and gymnastics practice are that wide. On the other hand, beginner gymnasts often start out using wider beams so that they can build up their balance gradually. Consider your goals in order to choose the best low beam for you. Various types of padding are available when it comes to low balance beams, and again, your decision depends on your reasoning for having a home beam. If you are new to beams, consider acquiring one with a carpeted top, since this type is the most cushioned kind in case of falls. You can also obtain a beam with a foam top, which is also soft, but can be slippery, especially if you are not using chalk to get a better grip. If you are a competitive gymnast and need to practice routines from home, it is best to get a low balance beam covered with suede since this kind is used in both competitions and practice. Before purchasing a low balance beam for your home, it is a good idea to determine first where you will put it. If you have a large room to fill, purchasing a full-length beam is an option, allowing you to perform typical routines. If the room where you are putting it is smaller, you should consider a beam that is shorter than average. This is especially true if you just need the beam to practice your balance rather than full routines. Some people choose to place their beam outdoors where there is unlimited space, but you should obtain one with a surface that will stand up to inclement weather, which means it should be metal, plastic, or wood. 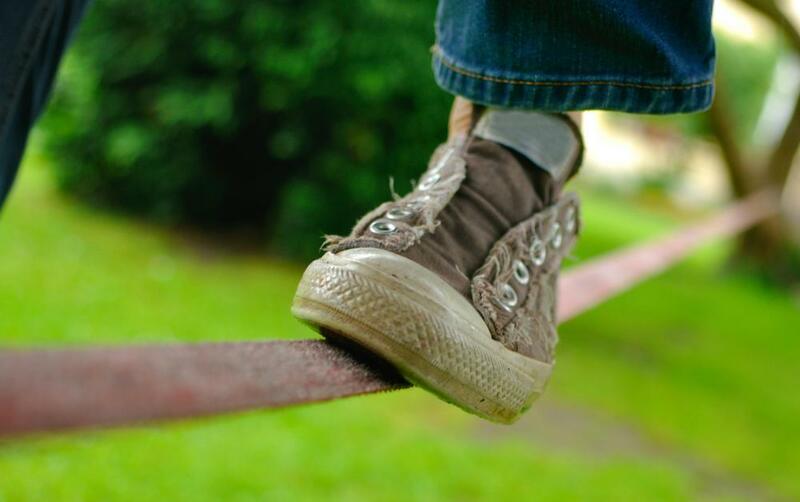 How do I Choose the Best Foam Balance Beam?